A hearth surrounded by comfortable seating, a fan to keep the air cool and a flat screen TV for your friends to envy. 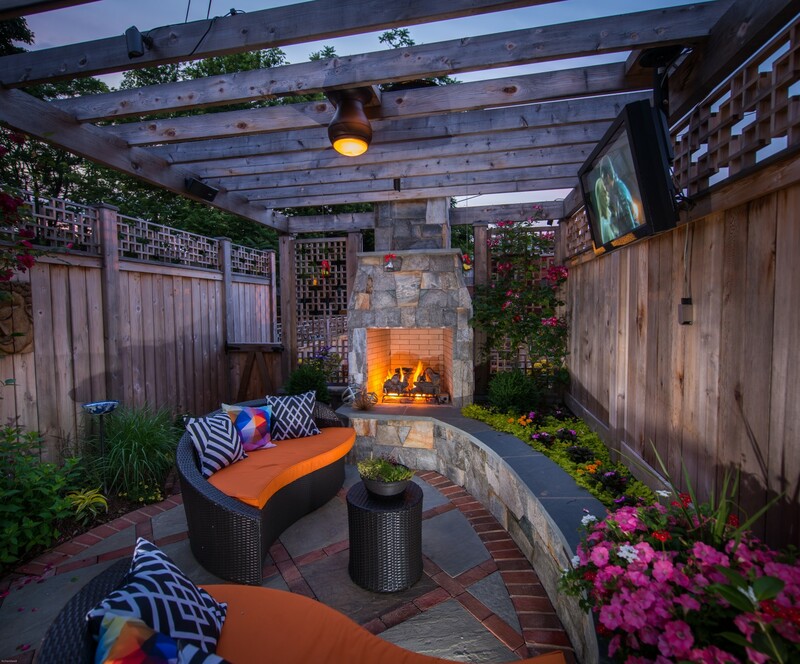 We extended the living space of this house by making an outdoor “den” which can be used year round. By adding a seat high planter, it defined the space and provides plenty of seating for a party. Instant-on gas fireplace means cozy is right at your fingertips after a long day in metro traffic. The kitchen area boasts a wet bar with a cocktail station and a wine refrigerator to keep your collection of Virginia wine’s cool and crisp.